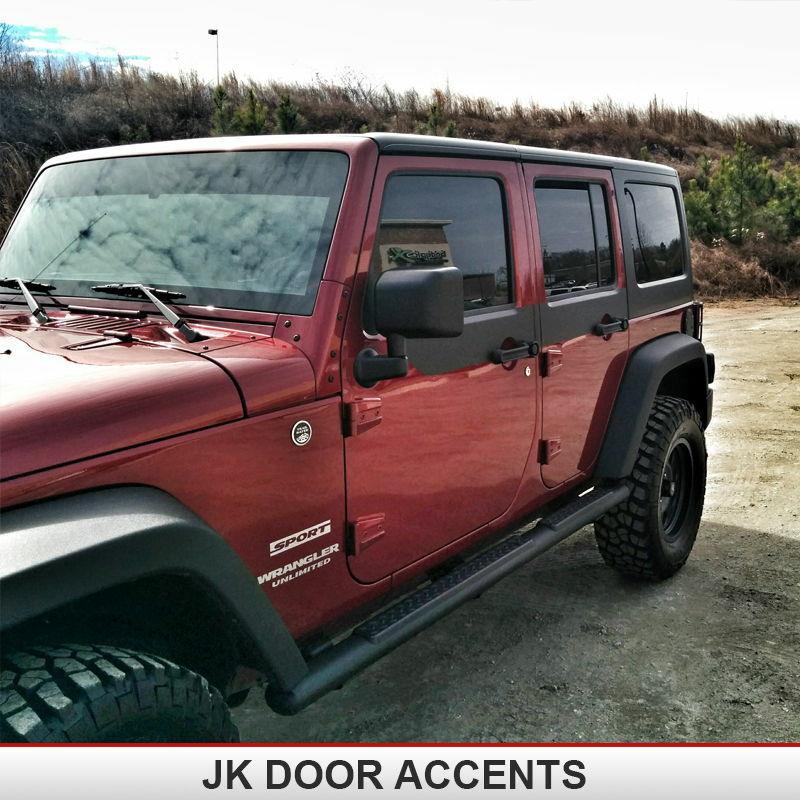 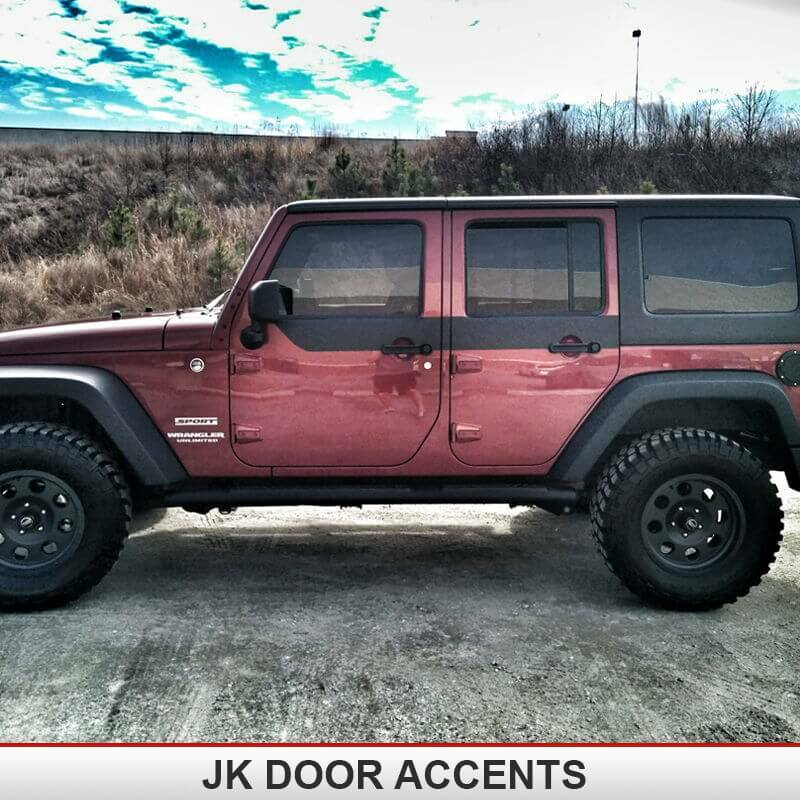 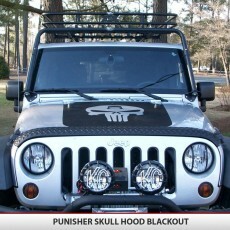 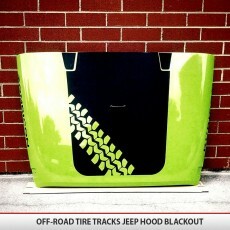 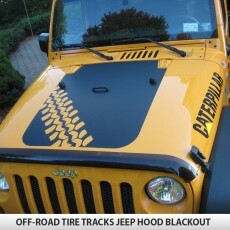 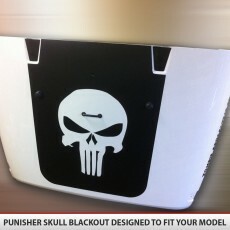 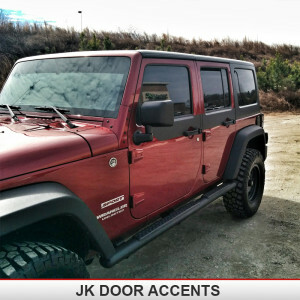 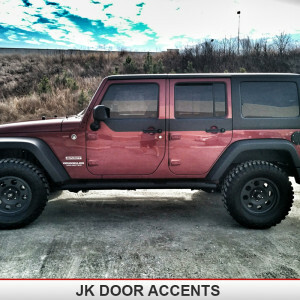 Add accents to the top of your Jeep Wrangler JK (2007-2015) doors, for a rugged off road look! 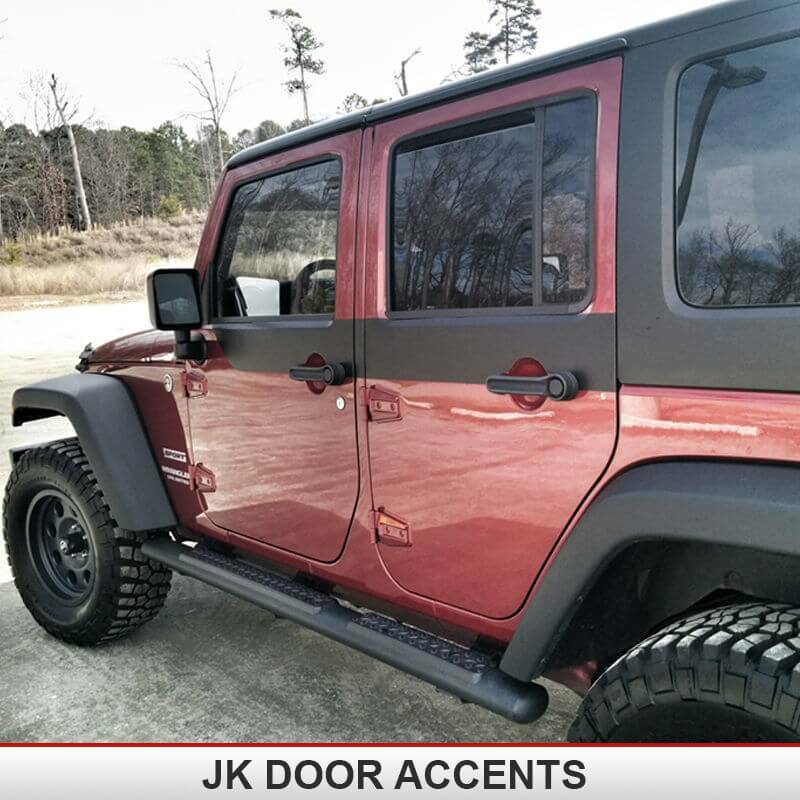 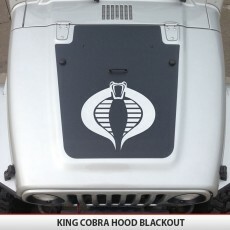 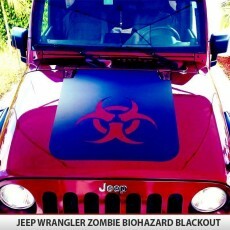 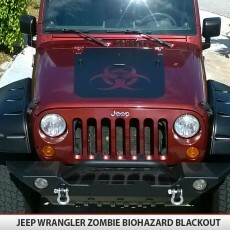 The decals are precision cut to follow the lines of your Jeep doors and provide protects for your paint from scratches and normal wear. 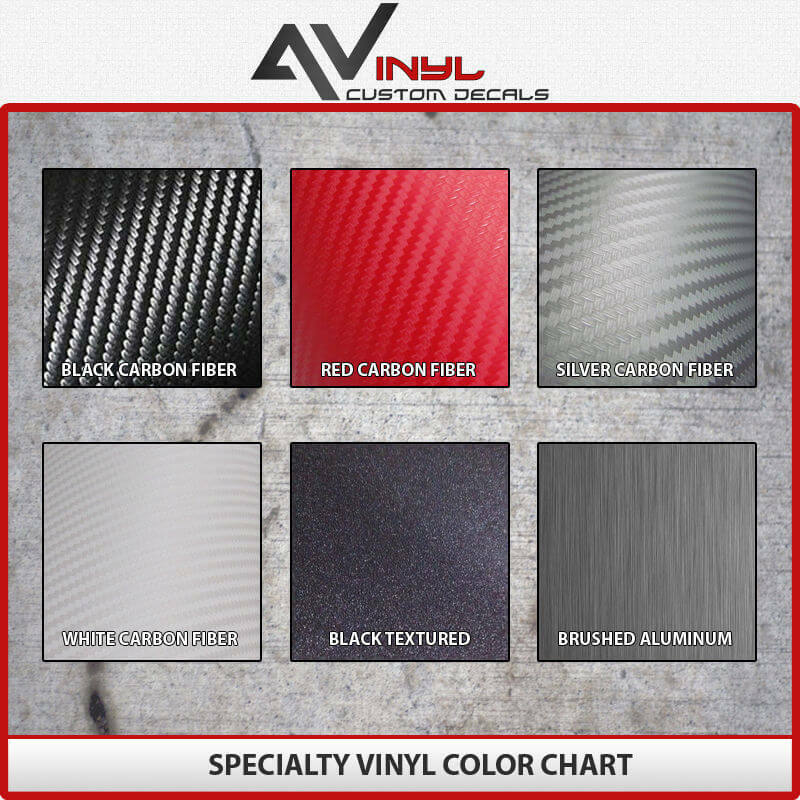 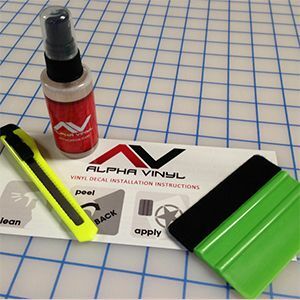 We use only the highest quality air release automotive vinyl so there is no need for transfer tape making for an easy installation.